As a result of a car accident, I was left with a shoulder that refused to act like it was supposed to. I experienced virtually no pain and discomfort was minimal after shoulder replacement. I am as good as new. In Dr. Griffin, I found a physician with an extraordinary combination of professionalism, knowledge, confidence, compassion and skill. The care Dr. Griffin afforded me was over and above. I am so very thankful I landed in his practice. 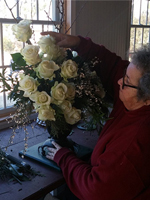 I now enjoy many hours of doing what I am most passionate about and that is being a floral designer and gardener. When my time comes for surgery, he will be my guy for sure! I have been a patient of Dr. Griffins for about a year. Although a total shoulder replacement is inevitable for me in the future, Dr. Griffin has done an amazing job of reducing my pain and increasing my mobility via injections. Through the use of scans, MRI’s, and x-rays, Dr. Griffin has fully explained to me the problems my shoulder has and the exact procedure he will do when my surgery cannot be postponed any longer. I appreciate him not rushing me into surgery and fully respect his knowledge, experience, and confidence. When my time comes for surgery, he will be my guy for sure! Dr. Griffin, your staff, Tiffany and Michael, a great team to have on ones side. First of all I am not in the habit of offering a testimonial for any reason, especially a medical one, however I felt the successful results of my massive rotator cuff surgery was due to the skill and past experiences of one person, Dr. Griffin, Jordan Young Institute. Prior to the surgery, in our initial consultation, Dr. Griffin explained in graphic detail each step of the operation, before and after, ensuring there was no surprises he answered all of my questions and concerns. I soon became confident in his ability as a person and a doctor and was thankful that I was in his care. The repairs to my shoulder almost did not happen. It seems that my shoulder was in worse shape than the MRI provided. This was explained to me in our first post op consultation. During the procedure he found the damage to my shoulder more massive than the images provided. Fifteen months, seven pins later plus eight months of physical therapy, I'm happy to say that it was worth it and I could not be more pleased as to the results. Thanks for everyone else involved that helped me to return to a fuller life. It was estimated that I could expect to be away from work for 10 to 12 weeks, I was back in six. I am 76 year old widower and a Shuttle Car Driver. On my eight month after surgery I returned to the golf course and made seven birdies, which got me thinking, if I had surgery on the other shoulder I could become a scratch golfer; how's about it doc. Again, thank you Dr. Griffin, your staff, Tiffany and Michael, a great team to have on ones side. Thank you Dr. Griffin and your amazing staff for all the hard work you do. 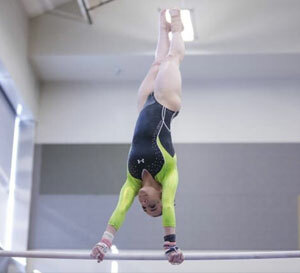 Our daughter, Meagan, is a competitive gymnast. In January of 2017, Meagan was competing her floor routine and on her last tumbling pass, she felt and heard a "pop". She completely tore her left ACL. One of the worst feelings as a parent is knowing your child is injured and there is nothing you can physically do to fix it. We had to place her in the hands of someone else to do that. From the moment we met Dr. Griffin, we felt extremely comfortable and at ease. He took the time to explain Meagan’s MRI results and the entire surgery, from start to finish. We knew we were in very good hands. Most importantly, Meagan did too. After a successful surgery and 7 months of physical therapy, Meagan has been back to the sport she loves and competing again. From pre-op to physical therapy, Dr. Griffin was there the entire time. You would never know that it’s been just over a year since her surgery. She has done amazing! Meagan is the co-champion on floor in the state, third in the all-around in the state, and the regional champion. 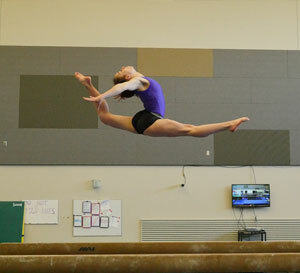 She qualified to compete at Eastern’s (level 9 nationals) in Rochester, New York, in May. Thank you Dr. Griffin and your amazing staff for all the hard work you do. Seeing her in the gym again, smiling, means the world to us. Without you, it may not have been possible. Dr. Griffin did a fabulous job. After several years of severe left shoulder pain I was fortunate to find Dr. Griffin at Jordan Young Institute. He recommended a total reverse shoulder replacement as my left shoulder was completely out of the socket. I had surgery on May 25, 2017 and after physical therapy I was able to scuba dive in September. Dr. Griffin did a fabulous job. His advanced knowledge and confidence in his ability to perform this intricate surgery gave me the confidence to proceed knowing I would get almost 100% use of my arm. I now have about 98% mobility, no pain, and; before the surgery I could hardly raise my arm above my waist and was in extreme pain. 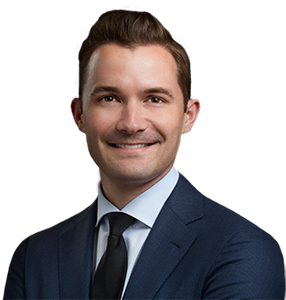 Dr. Griffin keeps up with the latest in surgical procedures and still has a great bedside manner and spends as much time as needed to explain things to the patient, he really cares about his patients. I highly recommend Dr. Griffin without hesitation. Thanks are not enough to this fine surgeon. - by Billy Martin, Jr. Academic brilliance, technical expertise, and a guy you can talk to. 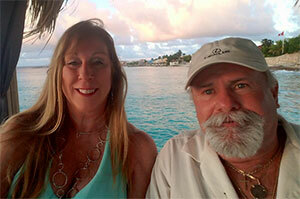 When I was referred to Dr Justin Griffin, I became aware of my 61 years on the earth for the second time in one day. His father, Dr. John Griffin, has been a friend of mine for many years, thankfully I have yet to need the services of a brilliant cardiologist, so I knew Justin when he was a young lad. And now he would be my surgeon. 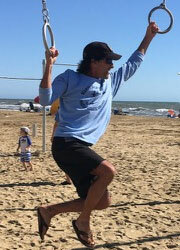 The first age reminder was when I separated my distal biceps tendon while proving to my wife that I could navigate the swinging rings at the Ignite Fitness Park. The injury on the rings was devastating from an athletics standpoint, but also from a professional standpoint. Dentists need both arms. I know the damage done immediately when I heard the pop and saw that my muscle had retracted upward. Enter Dr. Griffin. His resume in academics speaks for itself, but the thing they can’t teach you is his natural ability to talk to a patient in calm, reassuring terms that anyone can understand. Humble, kind, and an athlete himself, he gave me confidence I would be back in the fight very soon. The post-op was essentially painless, and after just one week I was back at work with my bionic brace on my arm. Fortunately it was my mirror holding arm that had the biceps reattached. I was at 100% just nine months with a scar that is only 5cm long, and 1.0mm wide. I would not hesitate to refer others to Dr. Griffin, and fact I do so in my office when someone needs a good surgeon. Academic brilliance, technical expertise, and a guy you can talk to. That sums up the good doctor. I couldn’t be happier that I landed in Dr. Griffin’s office, and it doesn’t hurt that he’s a Cubs fan. - by Charles S. Llewellyn III, DDS. I could not have asked for a more caring doctor than Dr. Griffin. 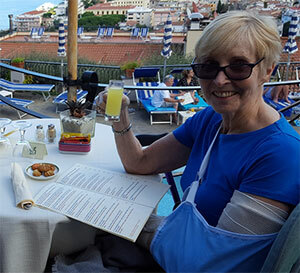 I had the great fortune of meeting Dr. Justin Griffin on September 23rd, 2016, 2 days after having the misfortune of falling and breaking my left elbow in 5 places..(aka Ulna) Aside from my pain and fear of surgery, I was most concerned that my husband and I would have to cancel our bucket list trip to the Amalfi Coast scheduled for October 10th... a long-awaited trip that had been more than a year in the planning. I was referred to Dr. Griffin who had recently joined the Jordan-Young Practice. Dr. Griffin, also being a fan of all things Italy, assured me that we would still be able to take the trip and scheduled surgery for 5 days later after swelling had decreased. After the surgery almost all of my pain subsided leaving the only hurdle being one-handed packing and trip prep. I saw Dr. Griffin several times after surgery and he arranged for me to have a light-weight hard plastic removable splint molded.. He then surprised me with a going-away gift bag of gauze pads, rolls of stretch wrap and my very own staple removal kit (to be used 8 days later in Italy by a local physician). I could not have asked for a more caring doctor than Dr. Griffin. He explained in detail every aspect of my surgery including ‘hardware’, gave suture removal instructions with diagrams for the doctor in Italy plus instructions to send him a photo of me enjoying Limoncello on the Amalfi Coast. Dr. Griffin was not only caring but very approachable as well as being so genuinely concerned about allaying my fears regarding a 3-week trip to Italy. At 2 ½ years post op, I am so pleased with my recovery and have close to 100 percent flexion and extension of my left arm. Thank you, thank you, thank you Dr. Griffin !! I remember Landon's injury like it was yesterday! We had just scored the first touch down of the game and Landon had gone in as Defensive Corner. The next play Landon was up in the air making the first interception of the night! As I was standing with my husband and several parents, we noticed that Landon was slow to get up. Once Landon got to the sidelines, we knew something was wrong. Landon was asking for the trainer to call his parents over. They immediately knew that the way Landon had been tackled and landed directly on his left shoulder that he had fractured his collar bone. Landon was pale and in a lot of pain. No parent wants to see their child hurt, and although Landon was in pain, he knew this injury would mean time off of the field for football, basketball, and possibly baseball season. The x-ray confirmed that Landon had a severely displaced left clavicle fracture that would require surgery. The next morning we called Jordan-Young Institute. They had an appointment for us with Dr. Justin Griffin on the following Monday. We were so relieved to get in so quickly. Dr. Griffin was so professional and caring. Dr. Griffin was able to talk to Landon on his level. 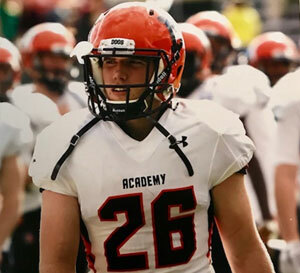 He explained to all of us that because Landon is a multi-sport athlete, young, healthy, and wanted to continue playing sports at the Varsity level that Landon would need an Open Reduction & Internal Fixation (ORIF). Landon's surgery would require a plate and six screws. This was a lot to take in, but Dr. Griffin was so reassuring. We knew Dr. Griffin was the right choice when we read his resume and saw how much extensive orthopedic training and education Dr. Griffin has. He specializes in Pediatric Sport's Medicine and Dr. Griffin also assisted in caring for both college and professional athletes. Landon had surgery the following Thursday. Dr. Griffin came in that morning and told us what to expect before the surgery, in recovery, and after surgery. Dr. Griffin has the best bed side manners, and truly looks out at for the patient, and the patient's family. We had Dr. Griffin's phone number to call him day or night with any questions. The next morning after surgery, Landon was already feeling like himself again. Landon had a follow-up visit with Dr. Griffin one week after surgery, and Landon was already trying to lift his arm up higher than he was supposed to. Landon's recovery was amazing to us, and his bright smile said it all! Landon was able to begin Physical Therapy and surprised all of us with his ability to move his Left shoulder and clavicle area free of pain and swelling. Dr. Griffin was so optimistic about Landon's return to full contact sports. Landon completed his Physical Therapy regime laid out by Dr. Griffin, and Landon was able to run Varsity track by mid-winter. We have a lot to be thankful for, but it was truly the care that Landon received from Dr. Justin Griffin that led to his full recovery. Landon is back to playing full contact sports and is pain free. We owe that and much more to Dr. Griffin! He truly is the BEST!! Dr. Griffin went above and beyond what I could have ever expected after arriving to Alaska. My freshman year as a college gymnast had been a great year, and anything but ordinary. I was offered a full athletic scholarship to the University of Alaska Anchorage—which meant leaving Virginia to continue doing the sport I love and pursuing new adventures. Due to some changes in coaching staff, I had to go a month without practice, and when I returned, I was aching all over. As I continued to train, the aches all went away except for this small pain in the front of my shoulder. I went back to Virginia for the summer and was training at my home gym. Despite the physical therapy I was doing, the pain made it impossible to train on the uneven bars. Eventually, my shoulder bothered me on every event and with everyday tasks (opening jars, driving, sleeping etc), so I decided to have it checked. My physical therapist had recommended Dr. Griffin, and I went to see him as soon as I could. Dr. Griffin was great from the start. Since I had to return to Alaska in a couple of weeks, it was incredible to see how Dr. Griffin and his team worked with me to get everything done efficiently and professionally. After examining my shoulder, x-rays, and an MRI, he diagnosed it as a labral and bicep tendon tear, and we scheduled the surgery. Dr. Griffin made me very comfortable and explained to me the procedure and how everything would feel afterwards. He also explained how, because of the nature of my sport, that it would be best to place the repair a little lower than normal, and with an all arthroscopic, knotless technique that would make sure the repair wouldn’t rub against anything. The surgery went extremely smooth, and with one last follow up, I was off to Alaska a week later. Dr. Griffin went above and beyond what I could have ever expected after arriving to Alaska. He kept in touch with me, my trainers and physical therapists—working with the time difference, and making sure I was getting the proper treatment necessary to be able to return to full training. As time went on, he checked in periodically to make sure everything was going according to planned. Now, eight months later, I am back on all four events, with all my skills back on beam and floor, and even working on some upgrades for the upcoming season. Seeing how some of my teammates have had the same injury years ago and weren’t able to make a full recovery, I truly believe that Dr. Griffin did an extraordinary job. I continue strengthening my shoulder and I expect to train on all four events next season—and better than ever. Thank you, Dr. Griffin and Jordan Young Institute, for helping me make a full recovery to continue my collegiate career and continue having endless adventures. I could not be happier with the results. Great job, Doc! I'm a retired U.S. Navy Master Chief Master Diver who was experiencing restricted movements, severe pain and terrible arthritis in my left shoulder (pieces were breaking off and lodging in other places in my shoulder); guess I just wore it out. I had a totaI left shoulder replacement done on 07DEC2017. I did not need (even right after surgery) and have not needed any pain meds since the surgery. I am in physical therapy now (6 weeks left). I could not be happier with the results. Great job, Doc! Dr. Griffin is amazing and I would Highly recommend him! My 17 year old Son dislocated his knee in December 2017. Being a high school baseball player & knowing that time was not on our side (Junior year/tryouts in February), Dr. Griffin decided to "treat him like one of the pro athletes." That is exactly what he did! My son was scheduled for surgery the day after Christmas. After a few weeks of PT...he made tryouts and made the team! Dr. Griffin is amazing and I would Highly recommend him! ABSOLUTELY, POSITIVELY recommend Dr. Griffin for shoulder care and surgery. Dr. Griffin just completed my 82 year old mother's second reverse shoulder replacement a year after he completed the first one. ABSOLUTELY, POSITIVELY recommend Dr. Griffin for shoulder care and surgery. Besides his skill and competence, he is always available - not only to address or eliminate any concerns, but to provide assurance, kindness, caring, and compassion. Many healthcare professionals I've spoken to agree wholeheartedly - can't find a better doctor or practice. I am so thankful for Dr. Griffin and therapy. In October, I had pains in my right shoulder. I was unable to raise my arm, reach above my head and other normal, daily activities. I called Jordan Young Institute and was scheduled to see Dr. Griffin in December. After reviewing the x-rays, his diagnosis was a frozen shoulder. He gave me an injection and recommended therapy for 6 weeks. After therapy, Dr. Griffin, the therapists and I are very pleased with my progress without needing sugery. I am so thankful for Dr. Griffin and therapy. Dr. Griffin's professionalism and expertise is greatly appreciated leading up to and following my total shoulder surgery. Dr. Justin Griffin is my kind of doctor. He provides me with in depth information about my condition. He has lots of experience with knee surgeries and the latest technology for successful procedures. Dr. Griffin's attention to my questions and concerns gives me reassurance that he has my best care in mind. Most importantly to me, if surgery is not needed at the time, he will suggest other alternatives that I am satisfied with. Thanks Dr. Griffin! Dr. Griffin is a dedicated doctor. He was not only sensitive to my needs, but was sure that I was an informed patient throughout my entire process. He was sure to thoroughly answer all of my questions, so I understood each part of my procedure, and that I was overall satisfied with my care. His care went beyond the procedure as he was sure to have the same attention to detail during post operation and follow up. I highly recommend him for any procedure and to be sure to check out his cool socks! Dr. Griffin addressed all of my concerns and took the time(non-office visit) to discuss my individual needs during recovery. He modified several aspects of the shoulder surgery to fit my future needs rather than take a standard approach. I could not be happier with the results and with his encouragement I will push my self even further. We couldn't have found a more competent, skilled, and expert Surgeon to perform a shoulder reverse-replacement procedure on my 81-year-old mother. His credentials, training, education, and experience are stellar-but more than that, he was kind and patient, treating my mom with respect and dignity. That, in itself, was more comforting to her than his surgical gifts. Mom is up and about, using her shoulders and arms again - 3 months after her surgery! Dr. Griffin was amazing. His bedside manner is aces up. Explained in detail what was wrong with my knee and what he was going to do to correct it. Extremely caring and personable. His surgery was impeccable and my knee hasn't been this good since high school. Very highly recommended. So pleased to have Dr. Griffin repair my broken elbow on Sept 29, 2016. Dr. Griffin is the most approachable physician I have met and he always explained, in detail, every aspect of my surgery , recovery and rehab. In addition Dr. Griffin never acted rushed when working with me. Had a minor fall that caused terrible knee pain. Called JYI and my appointment was with Dr. Griffin. And so glad it was. He was personable, patient, knowledgeable and thorough. He listened to me explain my fall and describe my pain. After xrays and examining my knee, by touching and moving it, Dr. Griffin miraculously relieved 85% of the discomfort. I went home with a knee brace, was instructed to ice it and to schedule PT for 2 weeks. All did the trick. Dr. Griffin is fantastic! Dr Griffin spent as much time with me as necessary to answer all my questions about options to address my shoulder pain. He suggested an anti-inflammatory injection and physical therapy which has worked so far. Dr Griffin is a very kind person and truly cares about listening to and understanding his patients. Dr, Griffin operated on me 9/27/16 for rotator cuff surgery and bicep tendon repair. Dr. Griffin was totally professional and an excellent surgeon. I can honestly say that I only had one day of pain after my extensive surgery, which was the day after surgery when the block wore off. I'm 6 weeks after surgery and just got my sling removed and I am doing all Physical Therapy without any pain or discomfort. I totally recommend him to anyone and everyone that needs a shoulder repair. Dr. Griffin is an awesome doctor. He is patient, caring and most of all kind. I wish there were more doctors like him. Dr. Griffin explained the injury to my shoulder in layman's terms making sure I understood all the issues involved and options available. We decided together to try an steroid injection and physical therapy, hoping to avoid surgery, if possible. So far, our plan as worked! The pain in my shoulder has disappeared and I have total use of my arm again. This could be a temporary fix, and if I do have need surgery, I am totally confident that I have the best surgeon possible! Thank you Dr. G! Dr. Griffiin, has a courteous demeanor and a good bedside manner. He comes off as being caring and detailed orientated. As our initial appointment progressed I became confident he was the doctor I wanted, if surgery was in my future. Before my appointment i was prepared to hear that surgery was justified, Dr. Griffin, soon squashed that idea by offering other options in its place and explaining why. Suffice to say the cortisone shot along with physical therapy is working; time will tell if this option will prevail over that of surgery. Lastly, I have recommended, (The Good Doctor), to several of my closest friends and would again regardless my condition in the future. Went to Jordan Young Institute to get a 2nd opinion on my knee that had been bothering me because of marathon training. Well, first off I really liked the office energy and prompt professionalism. Didn't wait beyond my actual appt time, like first time ever not waiting to be seen. Staff was professional, polite and prompt...from check in to X-rays to questionnaire to seeing the Doc. ð Dr. Griffin was gtg (that means good to go) and immediately picked up on my training concerns and knee pain...ITBS. That's what I thought it was based on my googleling. Much better experience than my previous visit with a different practise. Doc put me on a Plan A with an open invite to return in case we had to go to Plan B asap. Very happy with this Institute, the staff and of course Dr. Justin Griffin. Thanks! Dr. Griffin was very professional and understood my medical issues well. He provided options for treatment and respected by decision. The facility was clean, the staff professional, and the wait time very short. I would recommend this facility to my colleagues and friends. Dr. Griffin took the time to review his diagnostic impressions with me, and reviewed with me all the films taken at his office during the visit, showing me the areas of concern. He reviewed treatment options and I was pleased that he recommended conservative treatment initially. After several days my knee pain increased and I was able to see him within 24 hours of my call for help. I opted for a cortisone injection and this was administered with no pain, and with thorough explanations of what to expect. He could not have been more courteous or professional. Thank you, Dr. Griffin!